As well as being home to some of the world's best-known music software companies - Native Instruments, Ableton, and upstart DAW developers Bitwig are all based there - Berlin has a thriving techno scene. We're celebrating that with this week's SampleRadar collection - just click the download link below to join the party. 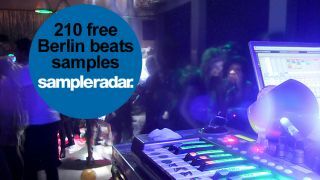 The Berlin beat samples are divided into ten mini kits, while there's also a folder of bonus analogue percussion hits. The Berlin beats samples are supplied in a zip file, so you'll need to extract them before you can see them. Enjoy!